We all need probiotics and the EZYogurtMaker is the easiest, least expensive and freshest option out there! Think of one health issue that you have right now that you wish would improve. Chances are, probiotics can dramatically help that very thing! • Lose Weight: individual results say"...reduced body fat by 3–4%...", "lost 50% more weight... " No special diet or exercise! • Lose Belly Fat: studies show"...belly fat was reduced by 8.5%" "reduced...BMI, waist size and hip circumference.."
• Prevent Weight Gain: test subjects - "...prevent weight gain on a high-calorie diet." "...decreased fat storage"
As with any food, fresh is always better. But it's hard to get fresh probiotics. The options are pills & powders, which, at best, only have a small amount of dormant, usable bacteria. Store-bought yogurt is what most people use for probiotics, and it loses potency while being shipped and stored. Also, it only uses a couple of strains of probiotic, whereas multiple strains are desired. And there is home made yogurt, generally the most healthy way to get fresh probiotics, but it is quite an involved process and needs up to 3.5 hours of preparation time. 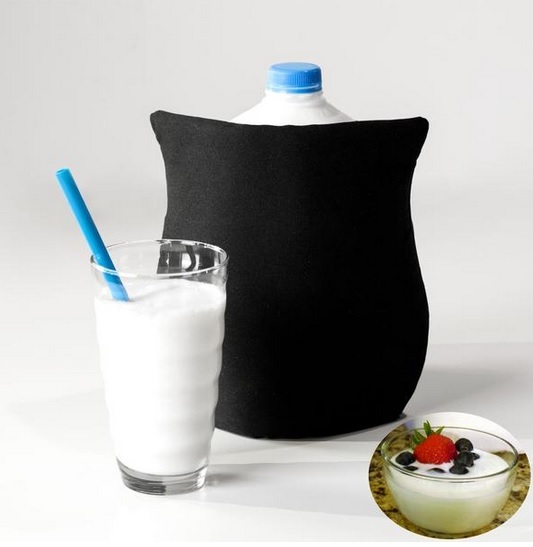 The EZYogurtMaker is so easy because you simply get a gallon or 1/2 gallon of milk, put the starter seeds into the carton, turn on the warming sleeve, and leave it to heat at the perfect temperature for approximately 8 hours. It is so easy! And with 11 strains of probiotics, it is one of the most complete formulas anywhere! And at around .16 cents per serving, it is so affordable! 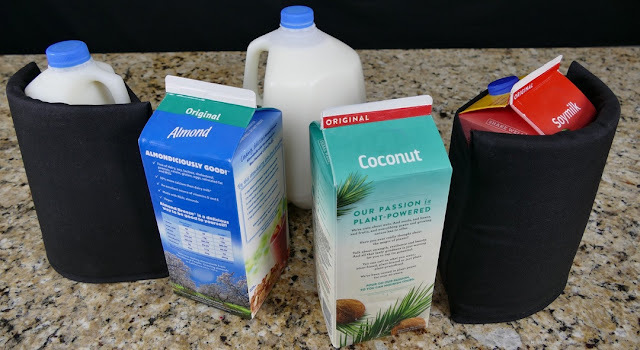 Once the yogurt or kiefer (it depends on how long you leave the milk in the warming sleeve) is made, there are so many ways you can flavor your probiotic. 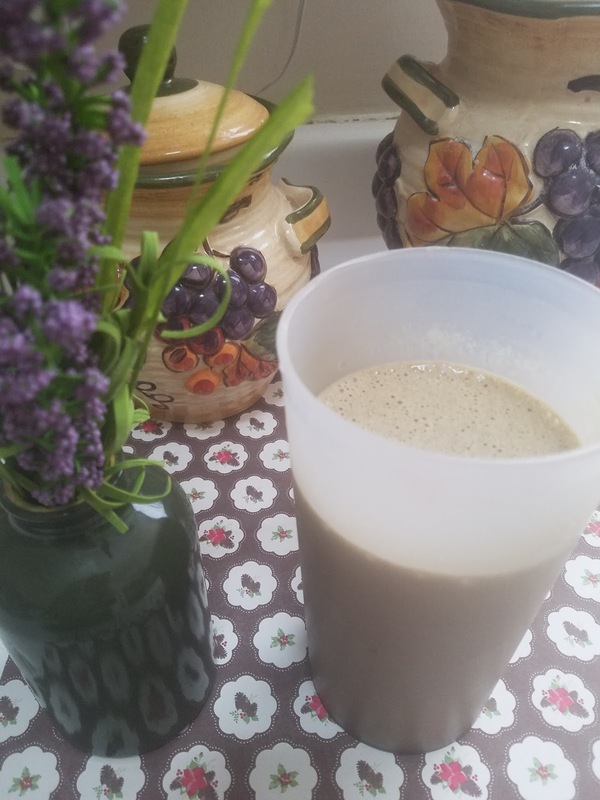 You can flavor it with stevia and fruit, or you can make a chocolate probiotic shake like I do! Read my review on how to make a Morning Chocolate Probiotic Shake! Also check out more recipes on the EZYogurtMaker Blog! 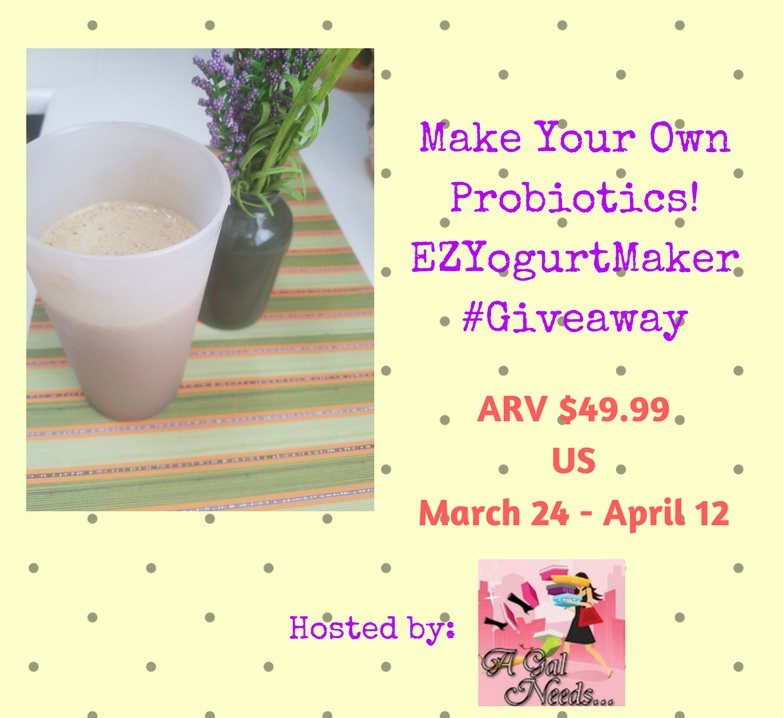 EZYogurtMaker has teamed up with A GAL NEEDS...to award one winner their own EZYogurtMaker, a $49.99 value. Make sure to enter in the Rafflecopter below and enter daily for more chances to win! Disclaimer: Open to U.S.! 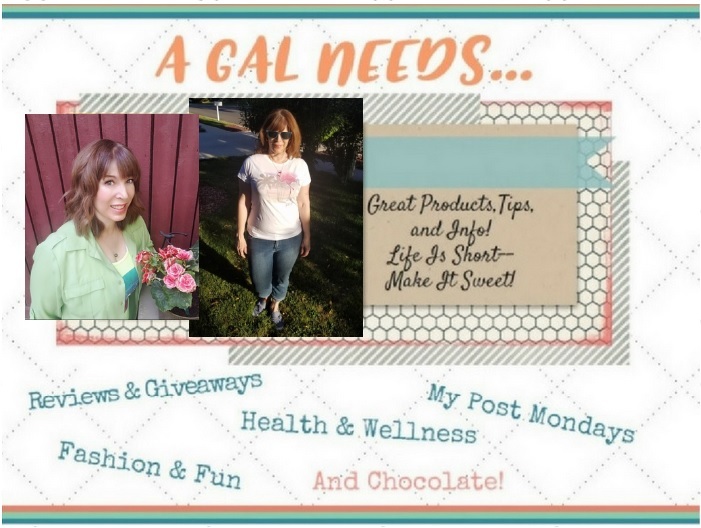 A GAL NEEDS...received product from this sponsor to facilitate the review of this product. Affiliate links may be present. No Facebook, Twitter, Pinterest, Instagram, nor any other social platforms are involved in any way! after 04/12/18. Must respond within 48 hours. Sponsor, 'EZYogurtMaker', is responsible for delivery of prize package.